The 11:11:11 UpStage Festival took place on 11th November 2011 (with a bit on the 10th and 12th, depending on where you are in the world). This was the 5th annual festival of cyberformance in UpStage. We have compiled the documentation from the festival and it is all linked to so can be visited from this page. Thanks so much for the great festival; making a performance for Upstage was a great opportunity, we learned a lot during the working process. We enjoyed how the encounter with the media gave shape to our ideas and as co-players, we experienced the sense of connection and cooperation in the moment of performance. The day of the festival was a marathon and a beautiful exchange with all performers and audience. Upstage is a great platform for creative meetings! 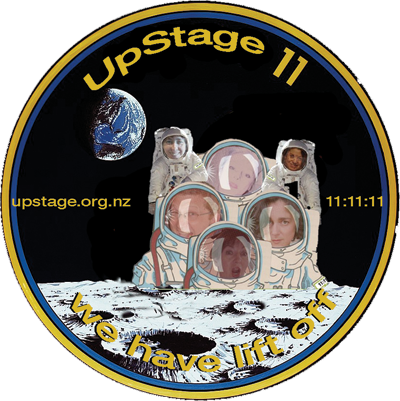 The 11:11:11 UpStage Festival has received some funding assistance from Creative New Zealand – Thanks CNZ!